Last week on the blog, we received a request from Robyn Adams to show off the student organization offices. She asked, we answer! 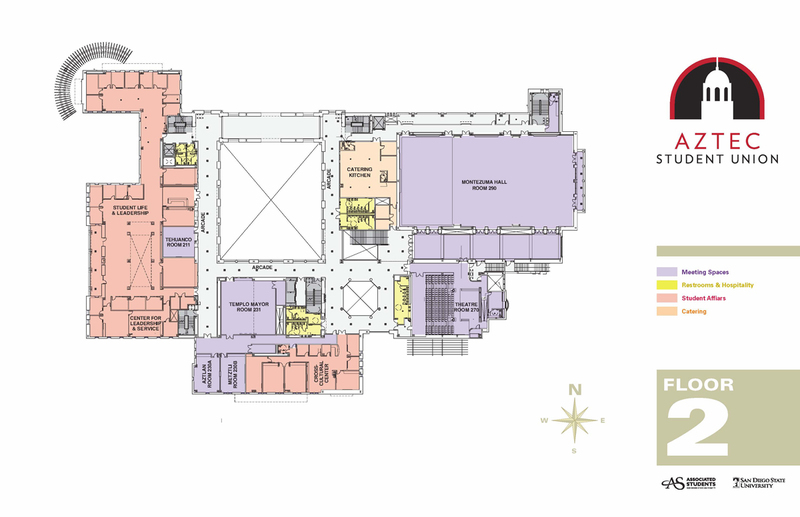 As you can see, the student organization offices are located on the far west (or left) side of the second floor. The offices will be managed by Student Life & Leadership, a department in the Division of Student Affairs. The student organization offices will include 15 individual offices and 35 open work stations, in addition to a variety of resources available for student organizations. The offices will be adjacent to a meeting room, restrooms and an elevator and two sets of stairs. The arcade, or outdoor walkway, will face the Goldberg Courtyard in Aztec Student Union. 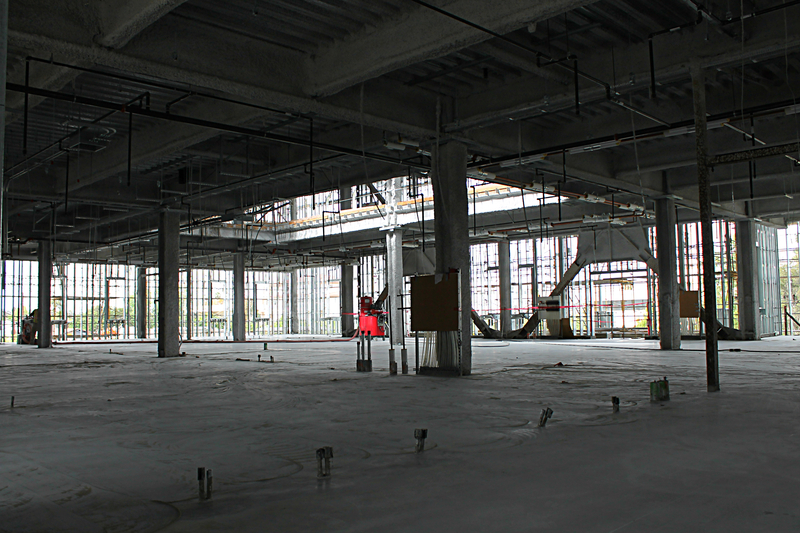 Lastly, the office is located directly above the cafe spaces, including a Starbucks, and directly below the Associated Students offices that will include the Business Office, Government Affairs Office and the Meeting Services Office. A partial view of the space that includes a northwest view of campus, towards Manchester Hall, Aztec Green and the Open Air Theatre. 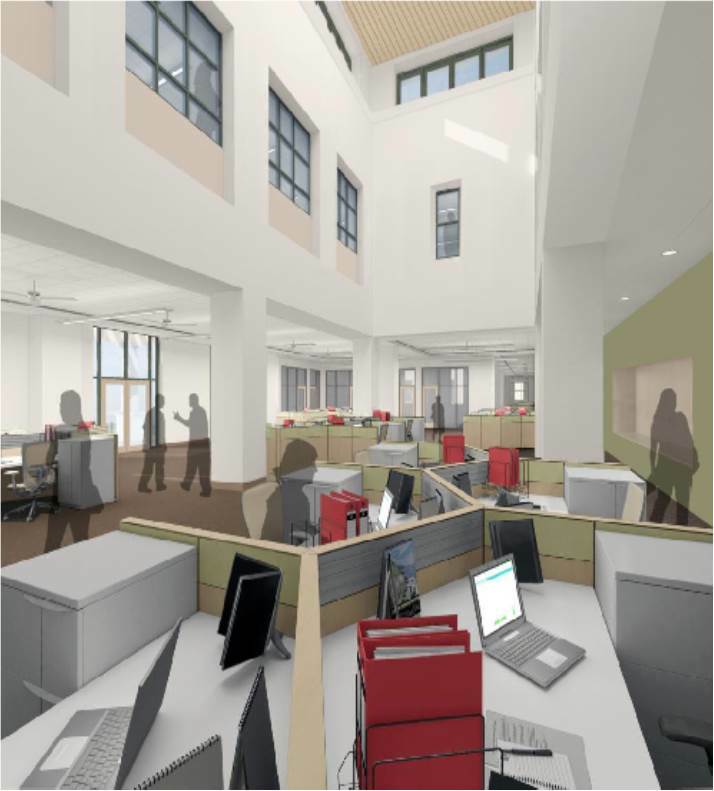 The Associated Students office will have a view into the student organization spaces (see below rendering). A partial view of the space that looks southwest, including Adams Humanities to the right and the laydown yard to the left. 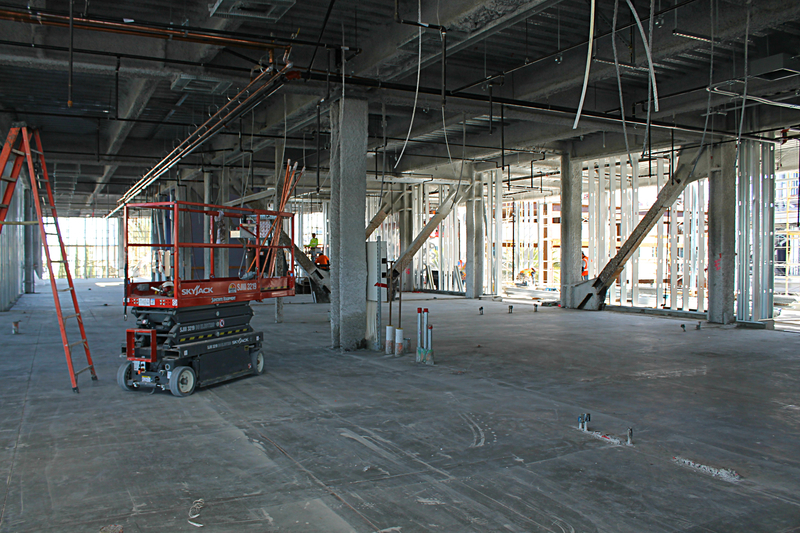 The area is currently inaccessible as crew members are currently grinding the radiant floor that was recently poured. A partial view of the student organization offices with the courtyard on the right and Centennial Walkway to the north. 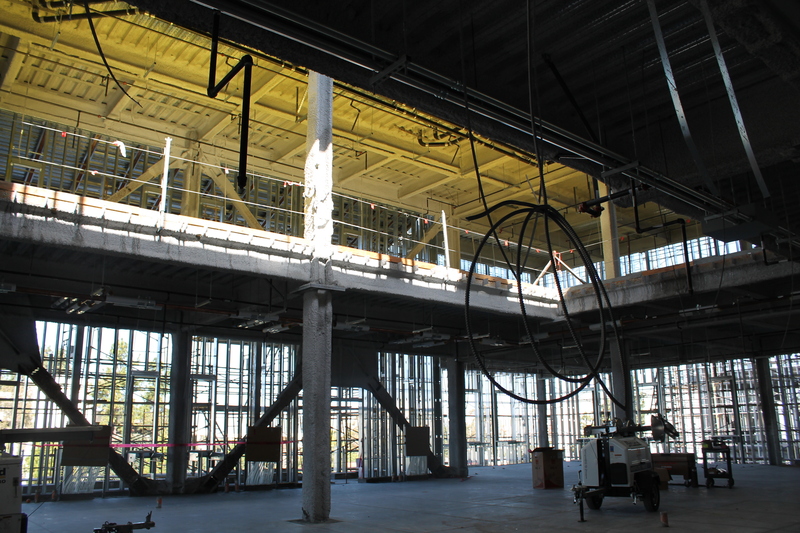 Want to see more of Aztec Student Union? Follow the #PhotoaDay project on Facebook or Twitter, or visit the live construction camera on the website. This entry was posted in Construction, Spaces and tagged sll, student affairs. Bookmark the permalink.